Really love this app. I can’t wait to see what new stuff you have planned for it (cities and roads). Great price too! It’s worth the $9.99 a year. I LOVE THIS APP!! 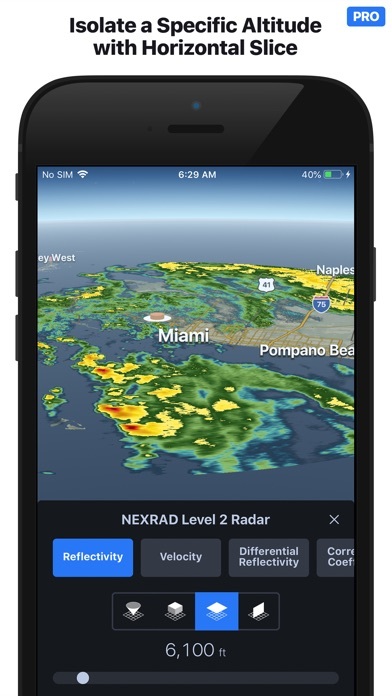 I am a closet weather geek who has way to many weather apps. I don’t know why it took me so long to find this. 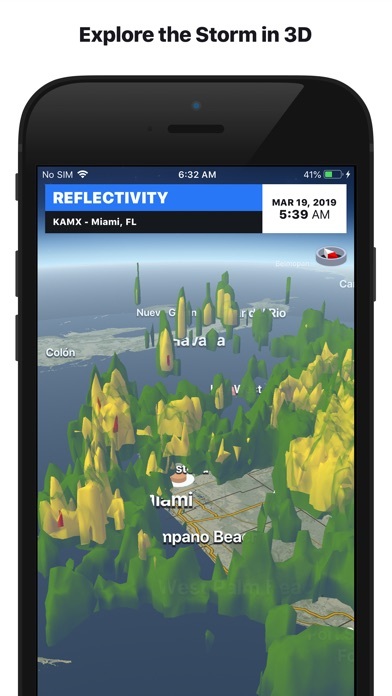 This app lets you peer into storms and see what’s going on in 3D. 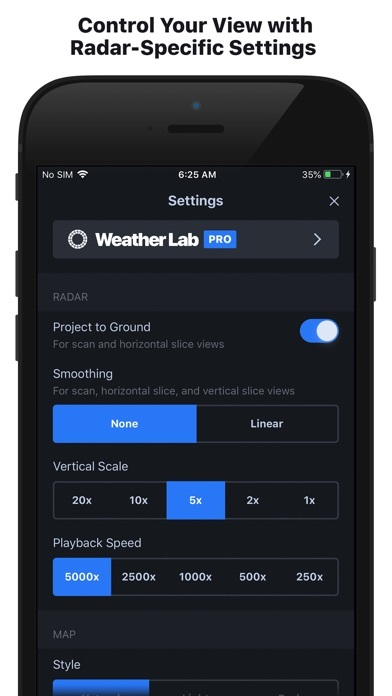 You can rotate the view, take slices either horizontally or vertical (pro subscription), or look at many other features of weather based on NWS NEXRAD radar stations. 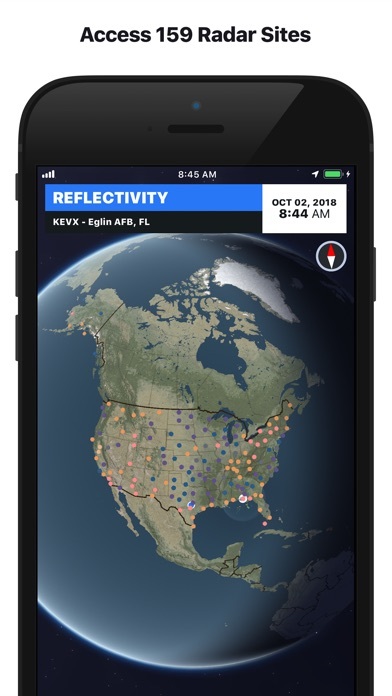 The only downside is that you don’t get a national overview of radar so you can choose which area to delve into. 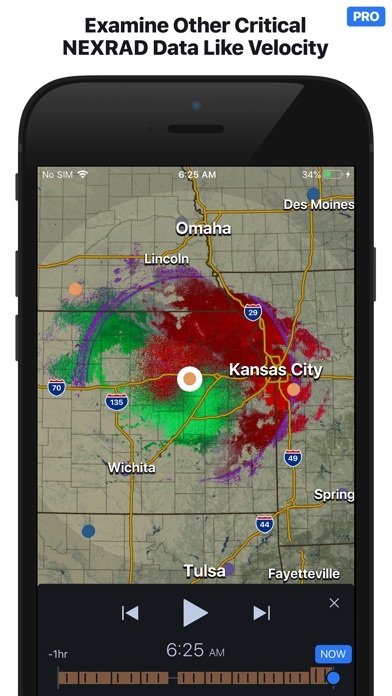 If you are a weather nerd, it’s hard to be disappointed in this app. 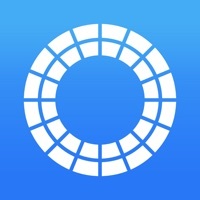 What’s the deal here..total waste of money.. don’t buy it..can’t get velocity to work and there is no way to send these images vie text or email..
What a GREAT app. Well worth the money. Really seems very fast. I’m not a weather professional, just a curious person who wants to know more about the world around me. I have to say that this app is amazing! 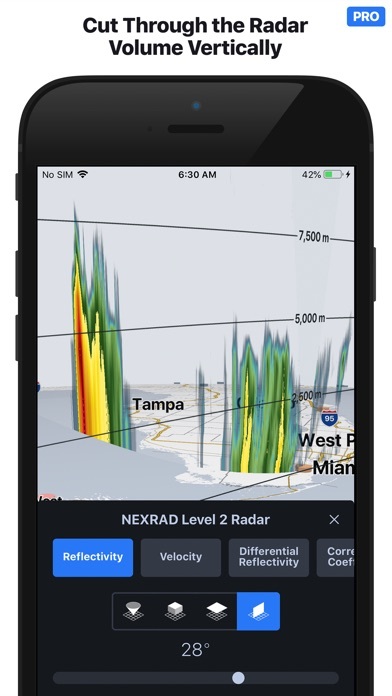 The 3D radar is beautiful and very captivating to explore. I’m surprised that anyone would give a negative review considering that this app does what NO other app is capable of. Sounds like some user error, since 3D is clearly available on the basic package- you just have to click the cube icon. Did have a glitch but other then that it’s a great app the features are fantastic! One thing should be added severe weather warnings. 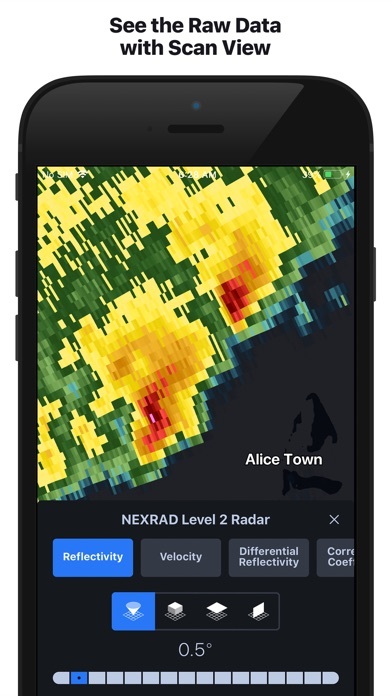 Takes YEARS to load most radar images. I am in good WiFi and am using an IPhone XR so these are in app loading issues. Otherwise amazing images and fantastic quality.